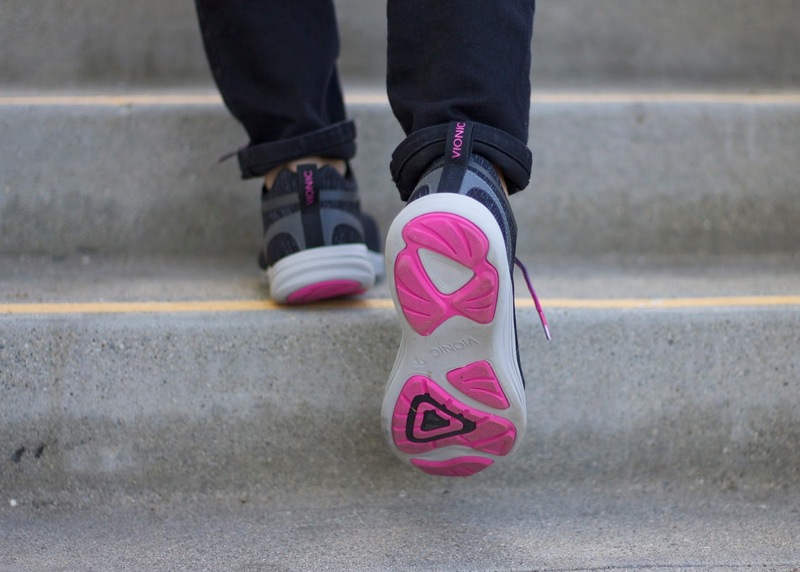 Vionic shoes have podiatrist-designed technology that support the foot and counteract the daily grind of walking on hard and unnatural surfaces while looking cute! 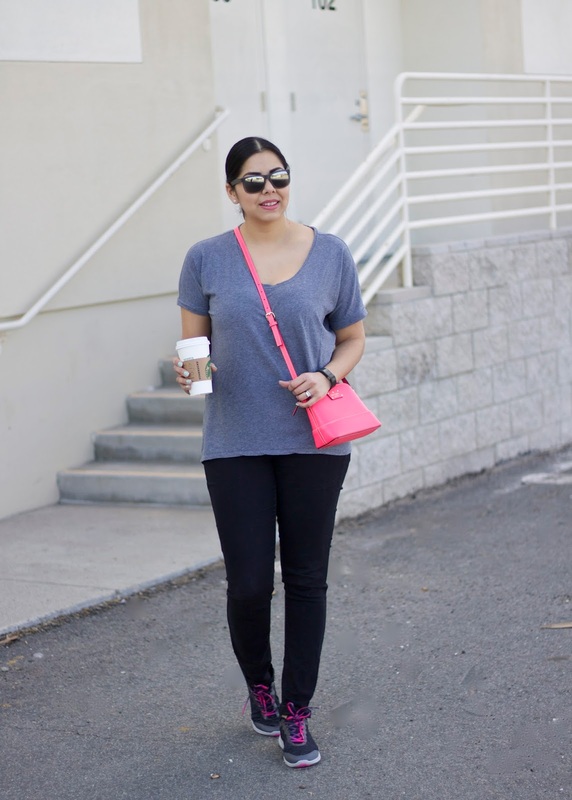 I wore this to go for a Sunday stroll picking up coffee and buying groceries and can feel that they were working some magic on my feet. 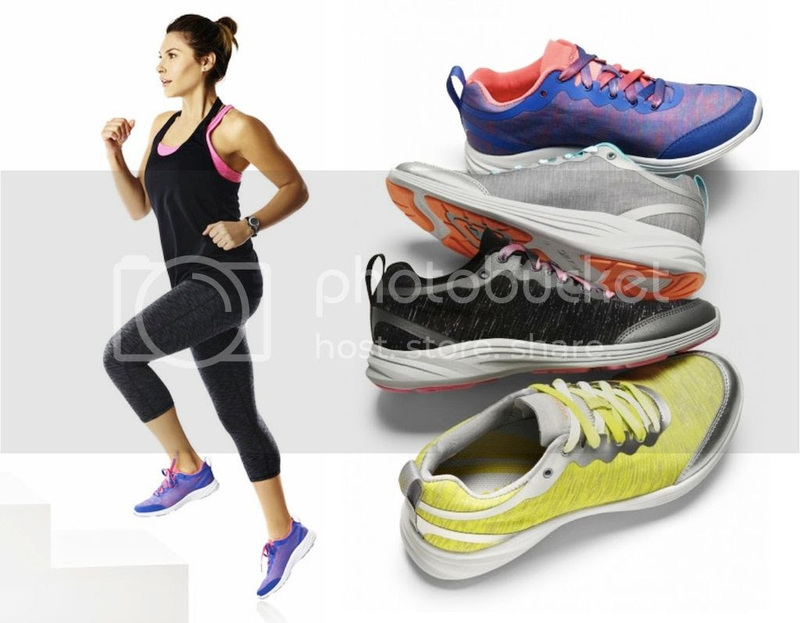 This specific shoe "The Fyn" comes in different fun colors to coordinate with your active wear or fashionable looks. 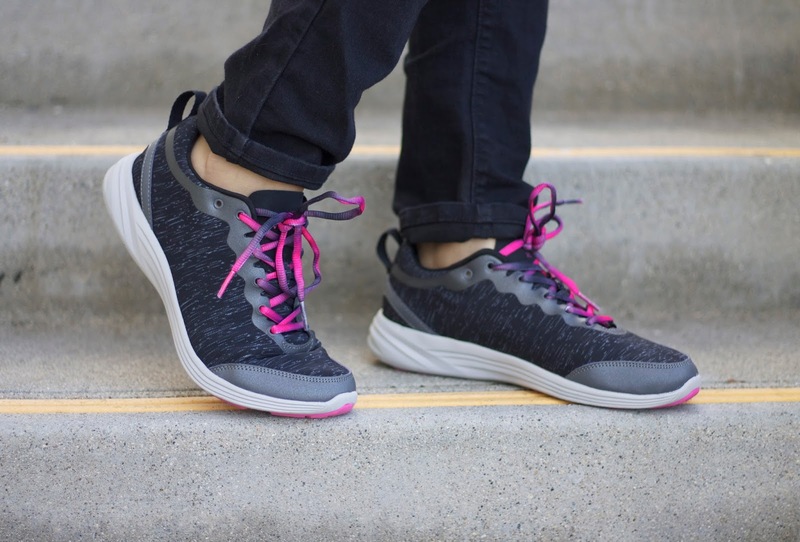 "The Fyn sneaker features Vionic's patent pending podiatrist-designed technology, helping them prevent and relieve plantar fasciitis and other pain in feet, knees, legs and lower backs." Read more about it here! 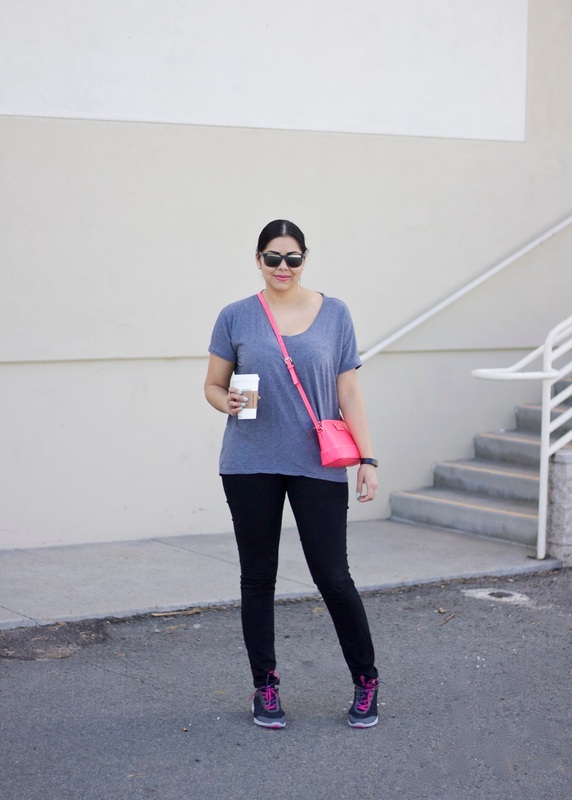 I love the pink bag Pau!! cute!! 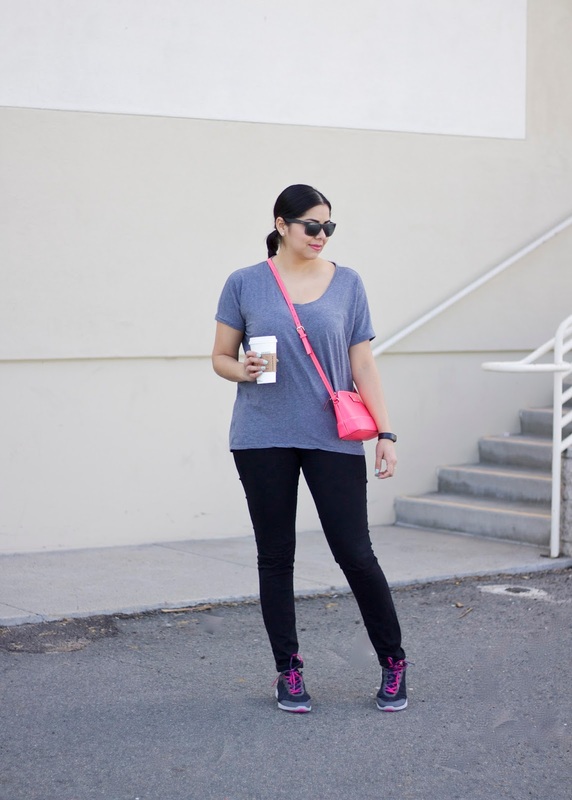 I like your cool casual look with the beautiful pink bag! Love the shoes :) need them too !